Does your employer require on-call hours, to remain on your employer’s premises or to stay so close to your workplace that you cannot effectively use the time for personal purposes? Your time spent on call (including your sleep time, if you are on call overnight) may be counted as hours worked, and thus must be compensated, based on a recent California Supreme Court’s decision, Mendiola v. CPS Security Solutions, Inc., 60 Cal. 4th 833 (2015). CPS Security Solutions, Inc. (“CPS”) employs on-call guards to provide security at construction sites. 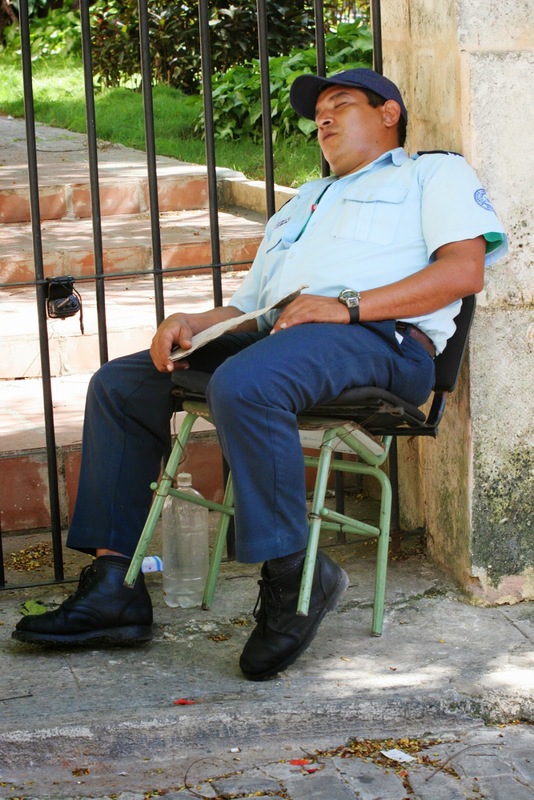 These on-call guards have different job obligations on weekdays and weekends. On weekdays, they work 16-hour shifts, with 8 hours on duty (patrolling the work sites) and 8 hours on call, whereas on weekends, they work 24-hour shifts, with 16 hours on duty and 8 hours on call. CPS signed an on-call agreement with each guard, and based on this agreement, CPS requires these guards to reside in the trailers CPS provides while they were on duty. These guards can keep personal items in the trailers, but children, pets, and alcohol are not allowed. Adult visitors are permitted only when CPS’s clients give approval. When these on-call guards want to leave the work site while on call, they have to notify a dispatcher, wait for a reliever, and remain on-site, even in the case of personal emergency, if no reliever is available. When they are relieved, they still have to stay within a 30-minute radius of the facility and accessible by a pager or phone. Based on the on-call agreement, these guards receive no compensation for their on-call time unless: (1) they are required to conduct an investigation while on call, or (2) they wait for (or have been denied) a reliever. CPS may deduct 8 hours of “sleep time” from their 24-hour shifts. The trial judge, in response to these guards’ class action lawsuit claiming CPS violated Industrial Welfare Commission (IWC) Wage Order No. 4 and Labor Code statutes, concluded that CPS must pay for these on-call hours. The Court of Appeal agreed with the trial court in part and held that these guards were entitled to compensation for their on-call hours. However, the Court of Appeal disagreed with the trial court about the issue of “sleep time” and held that CPS may deduct 8 hours of sleep time from these guards’ 24-hour shifts. The California Supreme Court partially agreed with the Court of Appeal’s holding and concluded that CPS must pay for these on-call hours. First, the Supreme Court agreed that CPS exercises substantial control over these guards during on-call hours. Examples of CPS’s substantial control include requiring these guards to “reside” in their trailers as a condition of employment while on call and to stay no more than 30 minutes away from their work sites even when they are relieved. Second, the fact that these guards can engage in such limited personal activities as sleeping, showering, eating, reading, watching TV and browsing the Internet while on call does not eliminate CPS’s control over them, because they are still required to remain at the workplace. Third, given that CPS’s business model is based on the idea that it provides construction sites with an active security presence during the morning and evening hours, these guards “mere presence” on the work sites while on call is integral to CPS’s business and primarily for the benefit of CPS. In terms of the “sleep time” issue, the California Supreme Court disagreed with the Court of Appeal and held that sleep time may not be excluded from the guards’ 24-hour shifts because Wage Order 4 does not permit the exclusion of sleep time from compensable hours. The California Supreme Court built upon its decision in Morillion v. Royal Packing Co. (2000) 22 Cal. 4th 575, 582, that “an employee who is subject to an employer's control does not have to be working during that time to be compensated.” The Court confirmed the factors California courts consider in determining the extent of an employer’s control during on-call time, including: “(1) whether there is an on-premises living requirement; (2) whether there are excessive geographical restrictions on employee’s movements; (3) whether the frequency of calls is unduly restrictive; (4) whether a fixed time limit for response is unduly restrictive; (5) whether the on-call employee can easily trade on-call responsibilities; (6) whether use of a pager can ease restrictions, and (7) whether the employee actually engages in personal activities during call-in time.” Mendiola, 60 Cal.4th at 841. In addition, whether the on-call waiting time is spent primarily for the benefit of the employer and its business may be another determinative factor. The nature of certain jobs requires employees to be “on call” or “on standby,” ready to respond promptly to instant business needs. With the rapid advancement of technology, more on-call jobs, relying on communication through electronic devices, have also been created. If your employer: (1) requires you to remain on the workplace or to stay close to the workplace while on call, and (2) imposes so many restrictions during on-call time that may indicate a substantial extent of control over you, then you may be spending your on-call waiting time primarily for the benefit of your employer. You may be entitled to be compensated for the entirety of your on-call time, including any sleep time. If you have any concerns about your on-call, standby, or sleep time, contact Bryan Schwartz Law for more information.